Help Center3. Integrations3.3 Other IntergrationsHow to create QLIK maps? 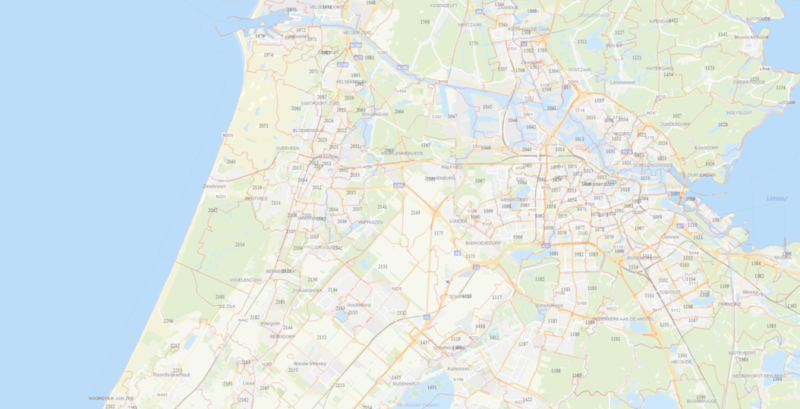 If you want to create a QLIK map you need a file with a geometry that is used to plot areas (polygons) and points (latitude, longitude) on the map. The spatial data formats that QLIK supports are KML (.kml) files. QLIK also supports CSV and Excel files with a latitude and longitude value if you want to create a map with points like addresses or business listings. Both maps need a different approach. Export or download your point map from your Spotzi Mapbuilder account to CSV. Open the CSV in Excel and divide the geometry column “POINT(longitude latitude)” into a separate longitude and latitude column. Delete the POINT text and brackets and separate the longitude and latitude value with the Data > Text to Columns functionality. Give your colums the names “longitude” and “latitude” so QLIK Sense automatically knows which columns contain a geometry. Now go to your QLIK Sense software and create a new app. Name your app and click CREATE. Drag you KML file into your app or go to data manager in the upper left corner and select the KML from your computer. Now you will see the columns from your KML file. Select the name and area column and click ADD DATA. After your import is done, click the particular data set and click LOAD DATA in the upper right corner. After your data was loaded successfully, click on EDIT THE SHEET to open your visualization where you can add your map. Drag a map chart to your sheet. Now drag the field item with the geometry to your map. This is in most cases the field that ends with “.Area”. Click ADD A NEW LAYER > ADD AS AREA LAYER. You have successfully created a QLIK Sense point map with Spotzi data. How do I create a QLIK Sense visualization with Spotzi data? Did you find a data set you like in our DataShop? Please follow these steps to import our KML files and create your very own QLIK sense visualization. After you bought your data set, you can export your data to a KML file. Please make sure that the column that contains the ZIP code has the title “name”. Remember that QLIK Sense will limit the number of areas. If you want to change this, go to the particular area layer and click OPTIONS > GENERAL and set the number of max. visible objects to a number more than 1000. Show labels by clicking the switch. Select the field that ends with “.Name” to visualize the postal codes. You have successfully created a QLIK Sense visualization with Spotzi data. 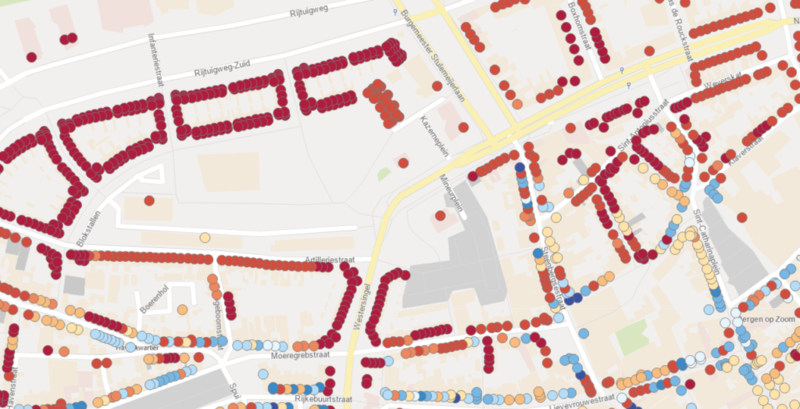 Spotzi has a large Datashop with a lot of KML (.kml) datasets with demographics, consumer spending, ZIP code boundaries, real estate data, addresses, business listings and many more. Our Datashop offers a one-stop-shop solution where you can browse through all our datasets and order them directly from our shop.